If you live in a household where a conversation between Android and iOS can last for hours, chances are you’ll want to stock up on LMcable. In my house, I’m mostly #TeamAndroid and my roommate is #TeamApple so we have a lightning cable, USB-C cable and a microUSB cable in nearly all rooms of the house. While LMcable can’t solve the problems if you own a Nexus 6P, OnePlus 2 or any USB-C device, chances are you’ll be covered by the microUSB – even the latest Samsung phones the Galaxy S7 and S7 edge uses microUSB. 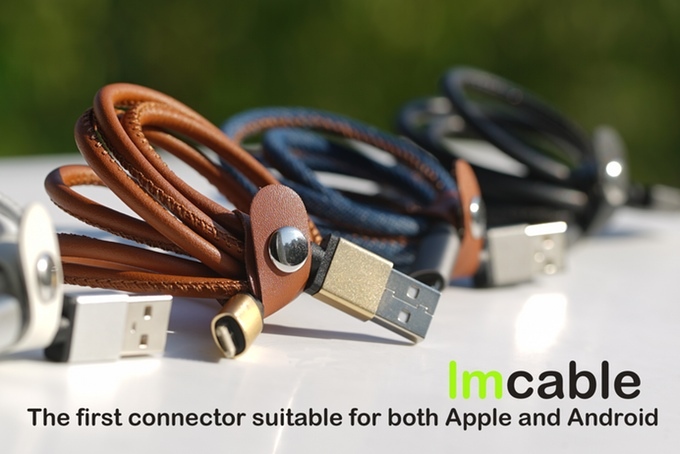 With LMcable you will be able to use one cable for both iPhones and (most) Android devices, and it also has support for fast data transfer and fast charging. LMcable comes in four different colors: white, brown, black and blue. Similar to all manufacturers today, another adjective has been tossed on in front of the color for a (supposedly) better description. This item is currently expected to ship mid-April! What do you think? Do you live in Android and iOS household? Tweet us @AsianGeekSquad!